WASHINGTON — A doctored animation and photo have surfaced online appearing to show one of the survivors of the Florida high-school shooting tearing up the U.S. Constitution. 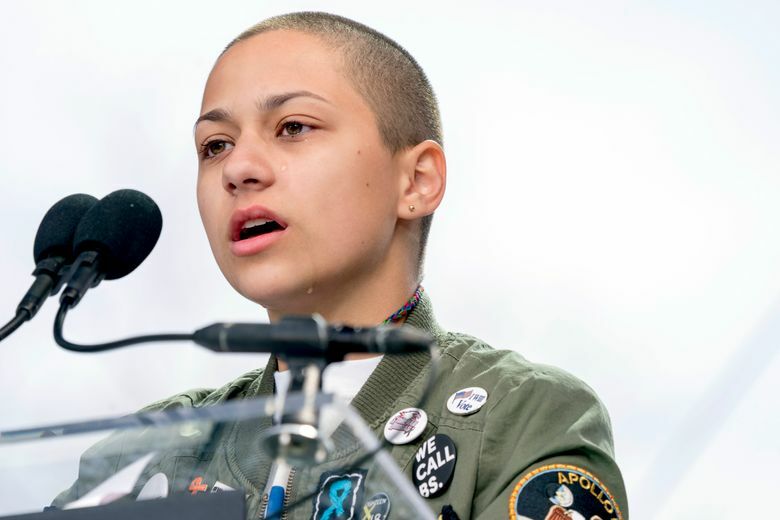 The image of Emma Gonzalez was doctored from a March 23 “Teen Vogue” story in which she ripped up a shooting-range target. The publication’s editors pointed out the fake image on Twitter. The doctored animation and news stories about it were shared nearly 70,000 times on social media. Supporters of the Second Amendment pointed to the image as evidence that gun-control supporters are going too far. Gun-control supporters expressed outrage when the image was shown to be fake. Gonzalez spoke with other Parkland, Florida, students on Saturday at a protest in Washington, D.C., to demand action on gun control.